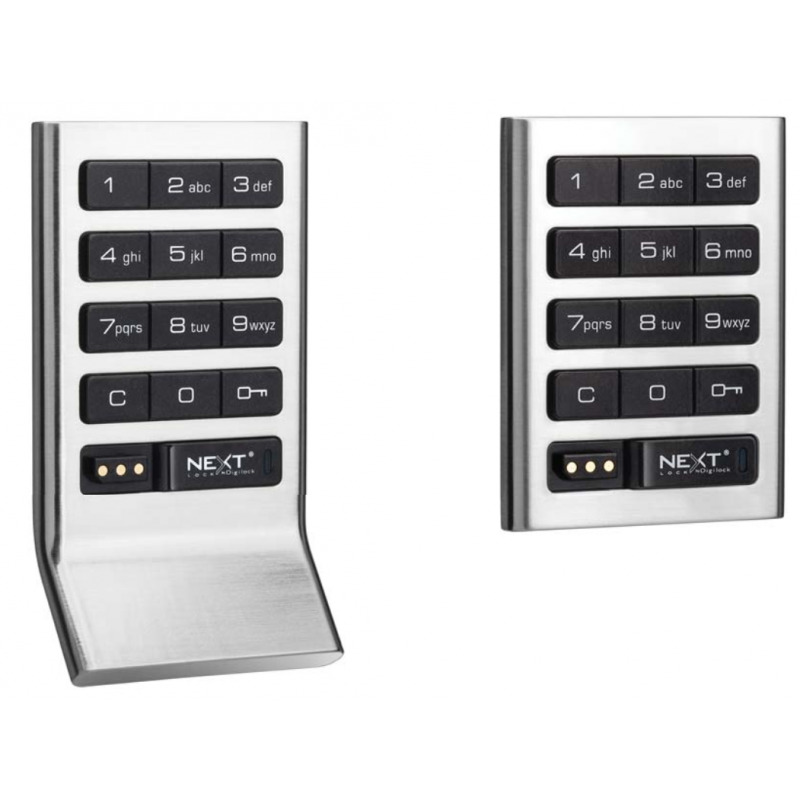 Designed for every application, Axis Standard Keypad locks operate in shared use functionality to secure day use lockers or in assigned use functionality to secure private lockers. 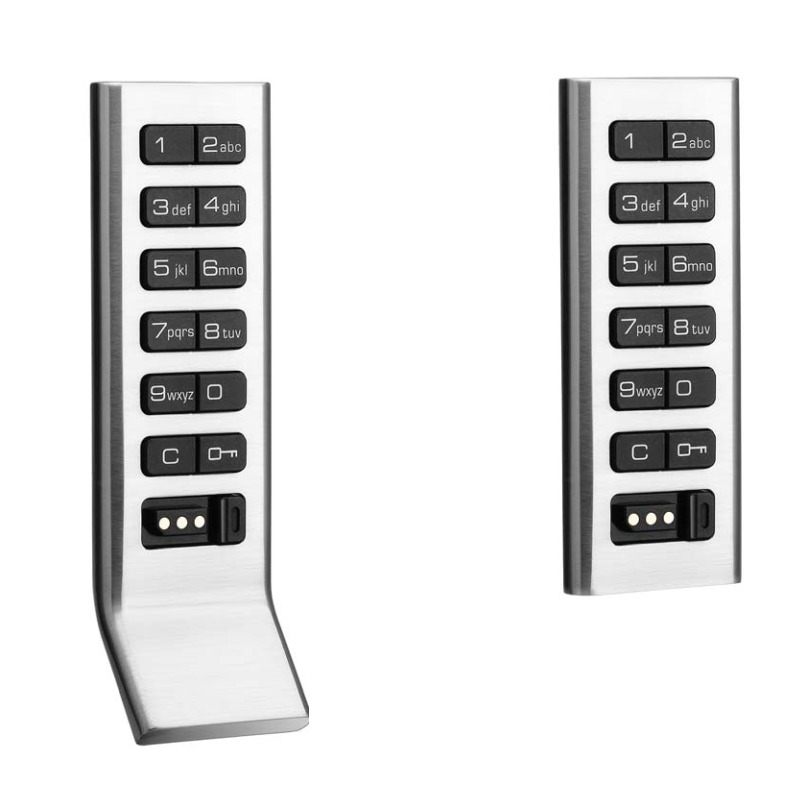 Axis Standard Keypad locks operate with an alphanumeric keypad interface. The interface also contains a key slot to operate locks with an ADA compliant User Key. Deadbolt or deadlatch available, both 1/2" (12.7mm). Deadbolt can be used for assigned or shared use functionality, while deadlatch is for assigned use functionality only. 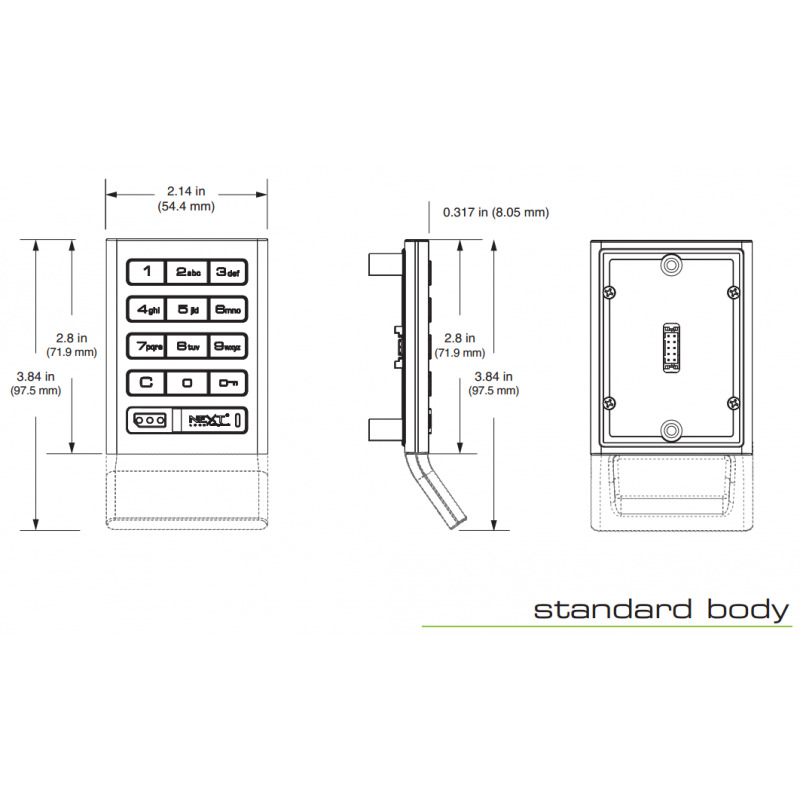 All Axis Standard Keypad locks are surface mounted. The keypad interface connects to the locking mechanism via a snap lock cable connector that tucks neatly into an integrated cable pocket. 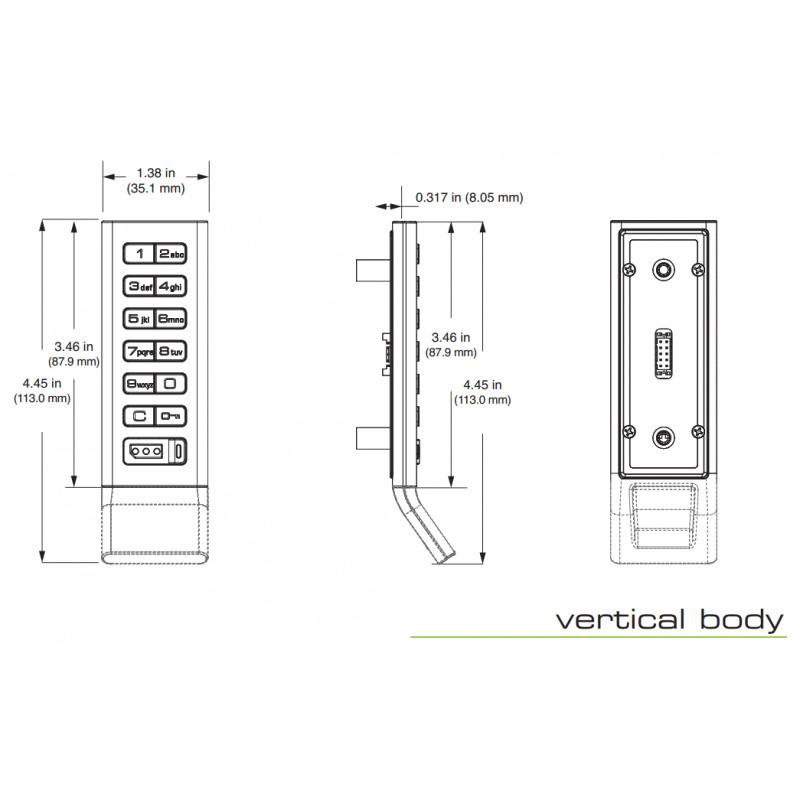 The mounting design accommodates a door thickness of up to 2" (50.8mm). Programming and management access are accomplished via patented electronic keys. An optional mobile application allows simplified lock management and audit trail.